Visit our premier assisted living home nestled near the hills of the beautiful historical city of San Juan Capistrano in South Orange County, California. 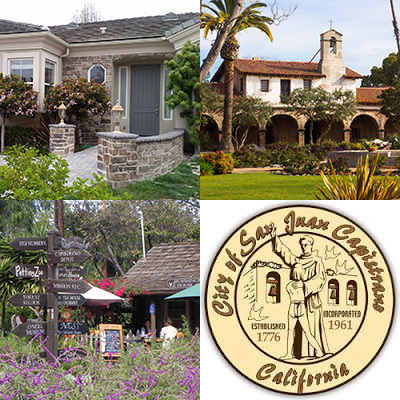 Just minutes away from the “Jewel of the California Missions”, Mission San Juan Capistrano and the oldest neighborhood in California, the Los Rios Historic District. Adagio San Juan offers seniors wonderful care giving without feeling as if you are living in an institution. Instead, at Adagio San Juan, you can live within the confines of a luxurious home. Our care managers who take care of your living needs won’t be an endless rotation of unfamiliar faces. The size of our home allows our staff to lovingly and warmly care for your loved ones. We are also owned and operated by San Juan Capistrano, CA residents. Come visit us today and find out if we are the right place for your assisted living needs. Welcome to Adagio San Juan. Welcome home. We're hoping to announce more premium senior living locations in the near future! Check back for updates or feel free to contact us with questions. We look forward to serving you.